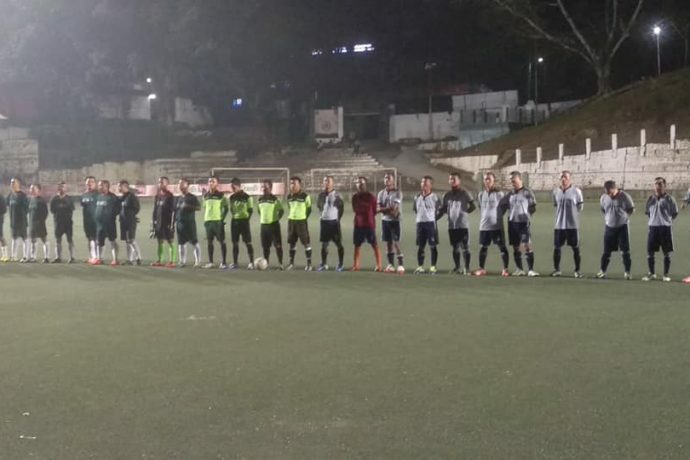 The MFA Veteran Committee organised MFA Veteran Football League 2018/19 kicked-off on Tuesday, November 6 evening at the AR Lammual Stadium in Aizawl. The inaugural Veteran League is being played in Aizawl wherein the city is being divided into four areas. Each area is represented by one team which is headed by a convener. In the opening match South Zone beat West Zone convincingly 4-1, while later on in the evening the West Zone beat North Zone by a 1-0 scoreline. The four team will play each other once with the top two teams facing off in the final. Veteran football is targeted for players above the age of 40 (Players born on or before 1978). It will be mandatory for teams to field two players above the age of 50 (Born on or before 1968) during a game at all times.